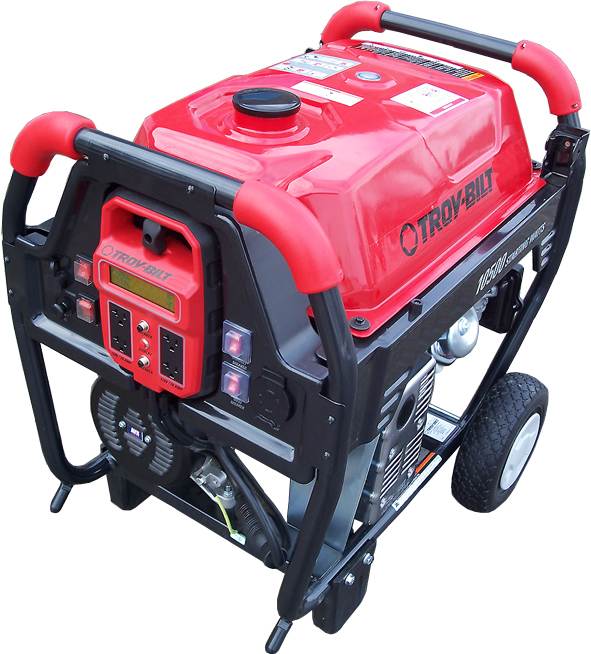 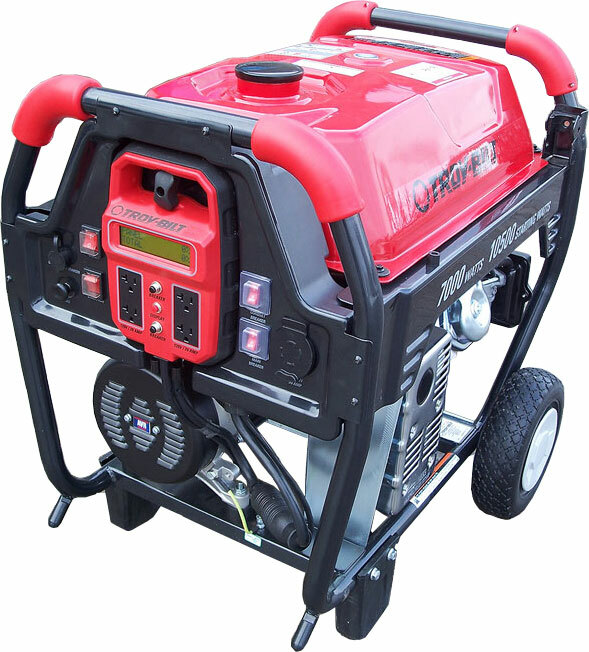 Troy-Bilt 10,500 Watt Gasoline Generator - This brand new Industrial Portable generator features a 10,500 watt surge rating and is designed for general use by the professional. 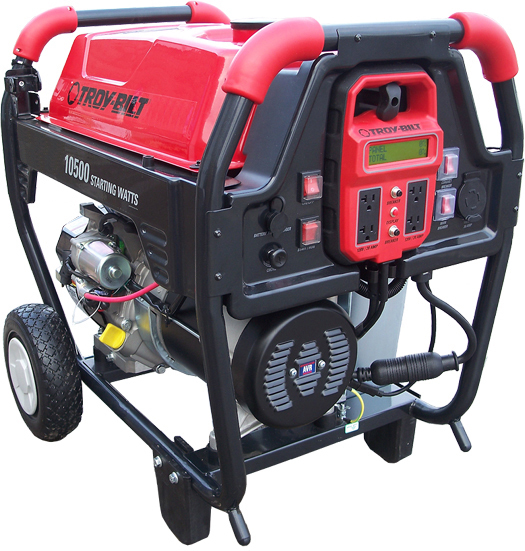 This unit is designed for heavy duty service on the job site or as temporary stand-by-power. 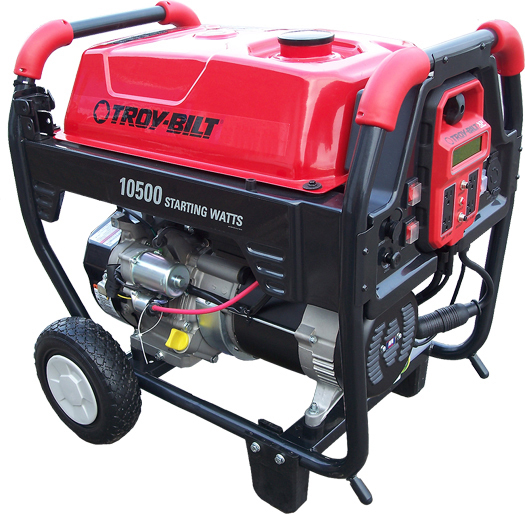 This brand new Troy-Bilt gasoline generator has clean sine wave power for running your sensitive electronic equipment and features a premuim OHV 420 cc engine w/ electric start, 8.5 gallon fuel tank with fuel gauge, LCD display with power level in-use and maintenance reminders, main line circuit breaker, deluxe receptacle panel with 120/240 V full power output, automatic voltage regulator, battery float charger, all-terrain wheel kit w/ rubber tires and push-button electric start for fast, effortless starting! 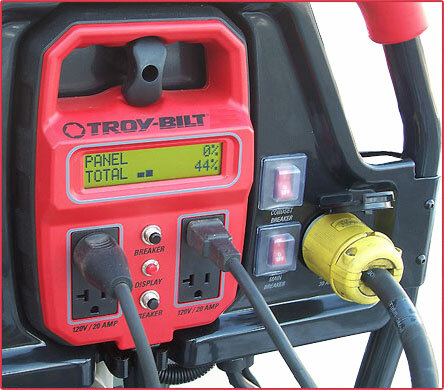 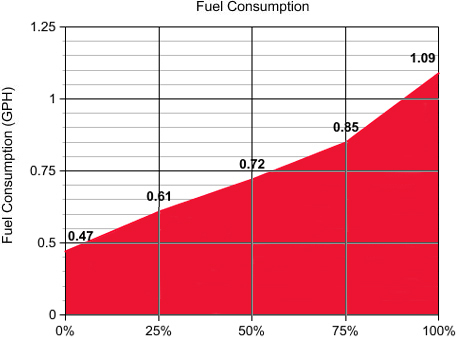 LCD displays power level in-use and maintenance reminders for hassle-free operation.